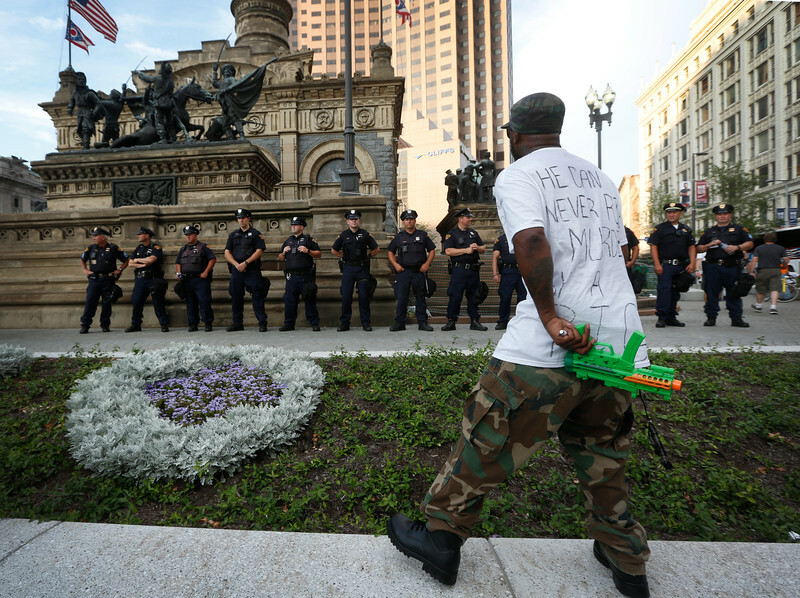 Stevedore Crawford Jr, a protester against the shooting of 12-year-old Tamir Rice in Cleveland, Ohio in 2014, stands in front of police officers on the first day of the Republican National Convention in Cleveland, Ohio on July 19, 2016. 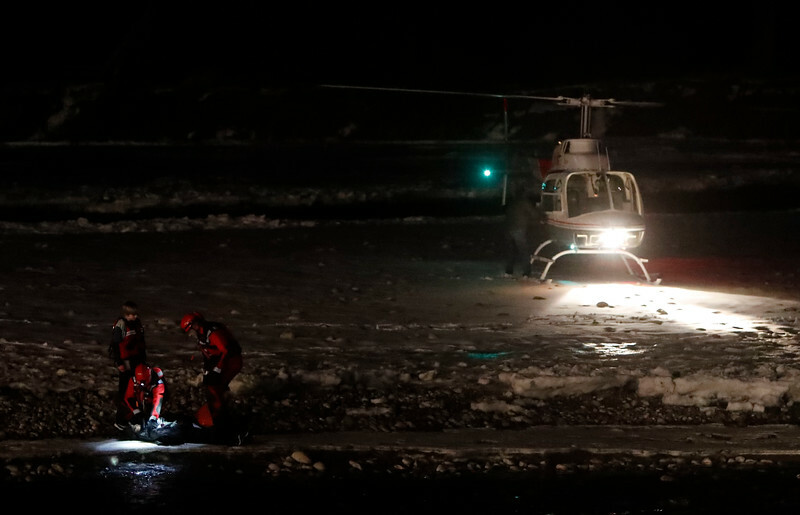 A Billings Fire Department swift water rescue team assists two boys that became stranded on an island in the Yellowstone River in Billings, Mont. on Friday, Jan. 4, 2019. 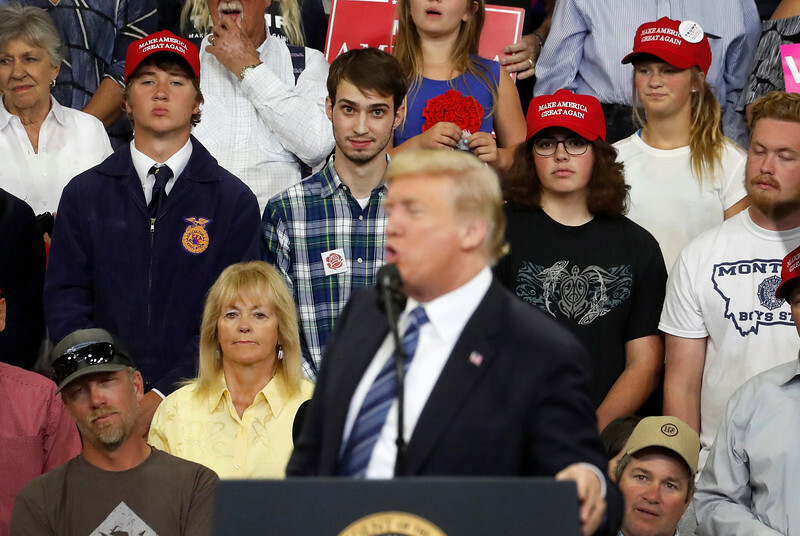 Tyler Linfesty, center, who became known as #plaidshirtguy, along with and his two friends Erik Hovland, to the right of Linfesty, and Christian Dunlap, far right, react to President Donald Trump during a Make America Great Again rally at Rimrock Auto Arena at MetraPark in Billings, Mont. 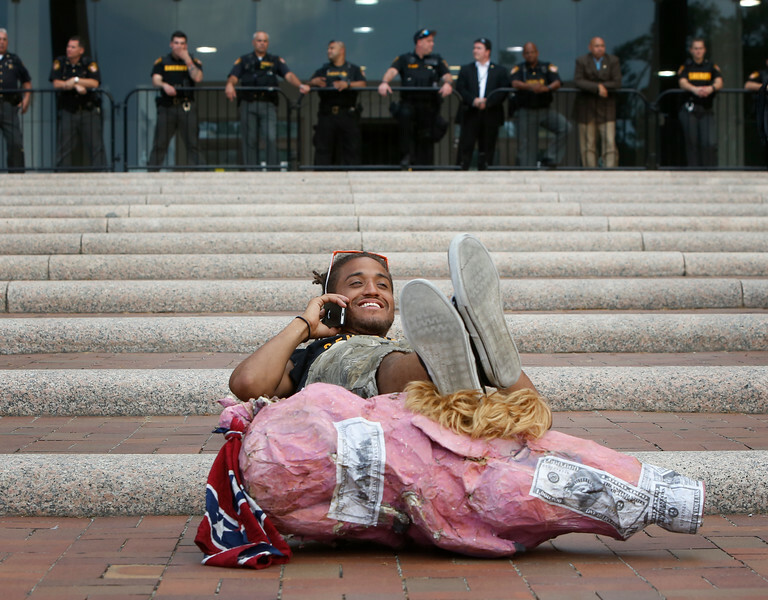 on Thursday, Sept. 6, 2018. 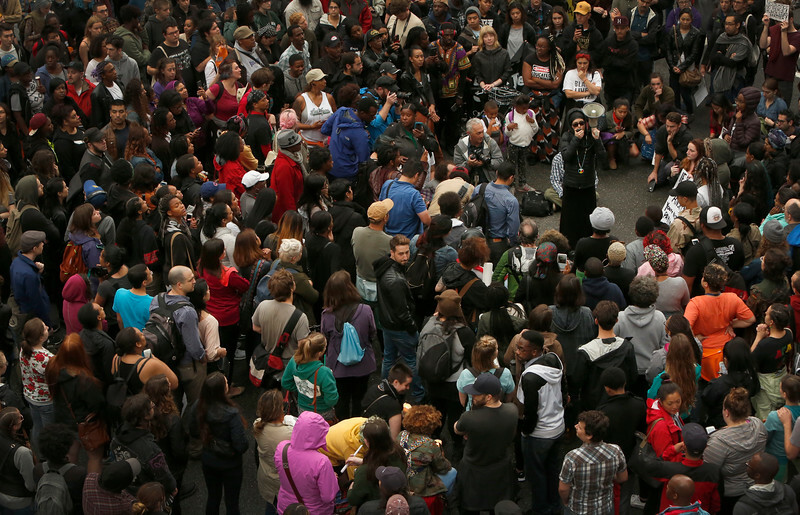 The three friends were eventually replaced by event staff after social media cued into Linfesty's reactions to the president's remarks. 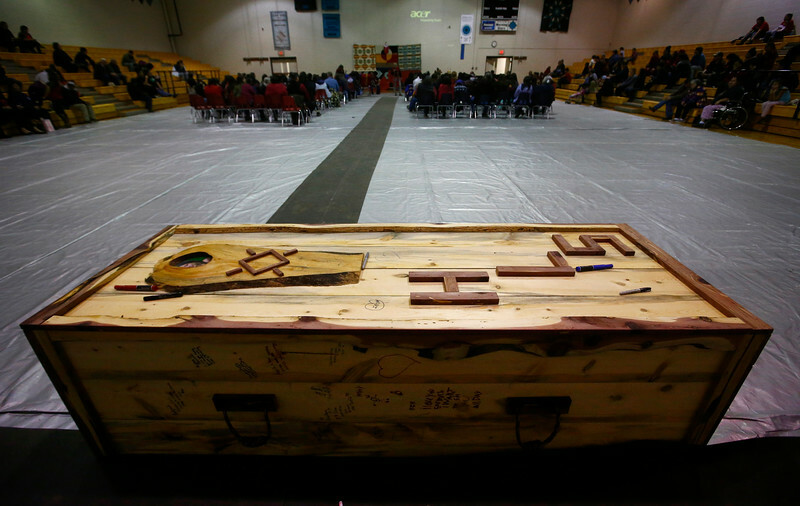 The coffin box for 14-year-old Henny Scott sits at the back of the gymnasium during the funeral service at Lame Deer High School in Lame Deer, Mont. on Saturday, Jan. 5, 2019. Scott was reported missing to the Bureau of Indian Affairs on Dec. 13. The Montana Department of Justice issued a Missing and Endangered Person Advisory on Dec. 26. She was found two days later. 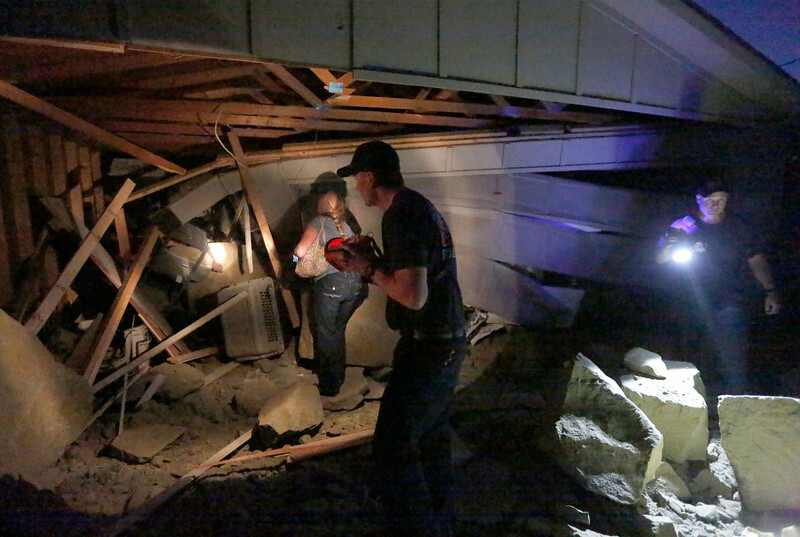 Sheri Lee, behind, checks on the vehicles in her garage with officers from the Billings Police Department after a rock slide fell from the Rimrocks, a large sandstone formation behind the property, in Billings, Mont. 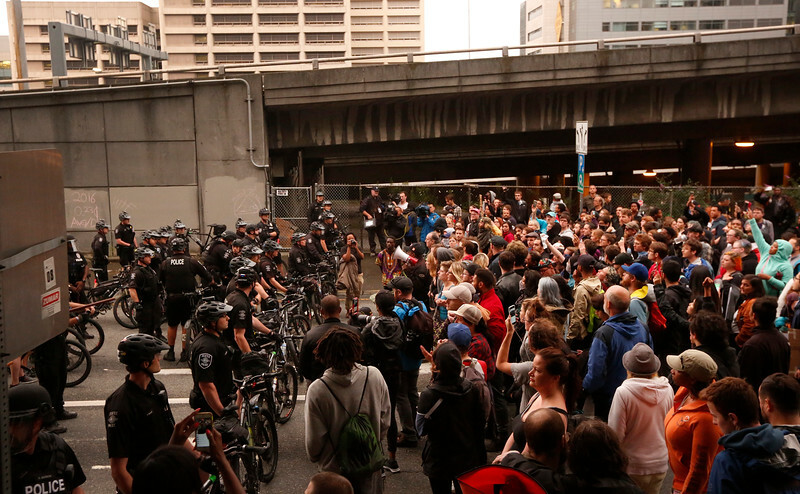 on Tuesday, June 26, 2018. 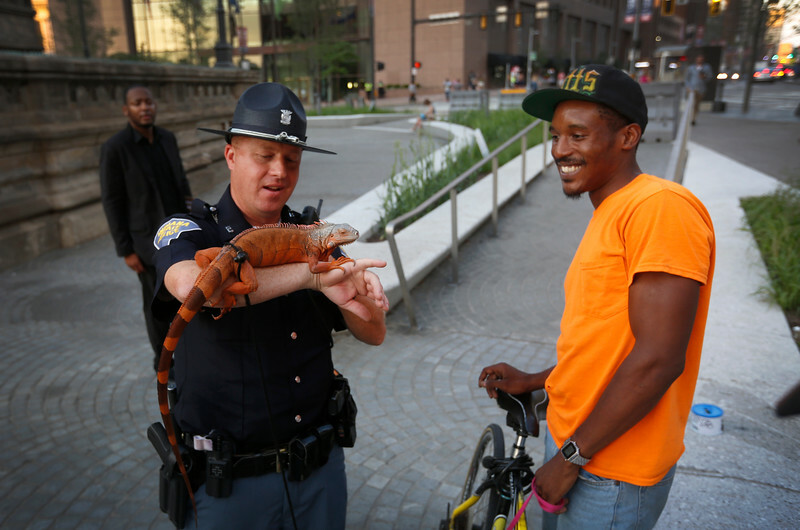 Indiana State Trooper Justin Geltmaker pets a red iguana named 'Fluffy' while Marlow Butts holds her leash in Public Square near the Republican National Convention in Cleveland, Ohio on July 18, 2016. 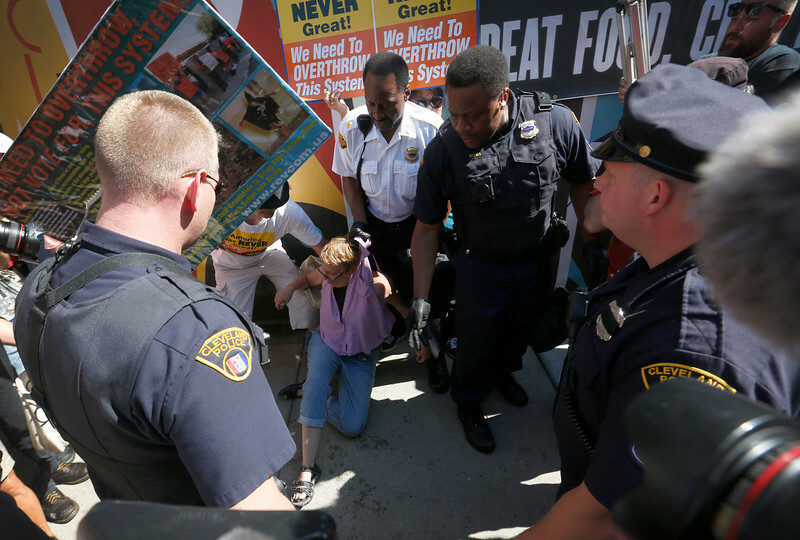 Cleveland police officers arrest a protestor after she attempted to burn a flag near the Republican National Convention in downtown Cleveland, Ohio on July 20, 2016. 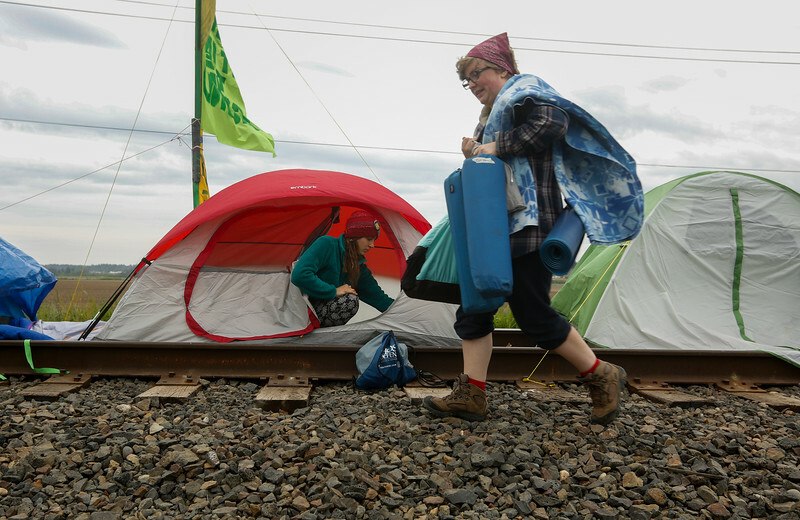 Protesters camp on the Burlington Northern Railroad train tracks leading into two oil refineries near Anacortes, WA on May 14, 2016. 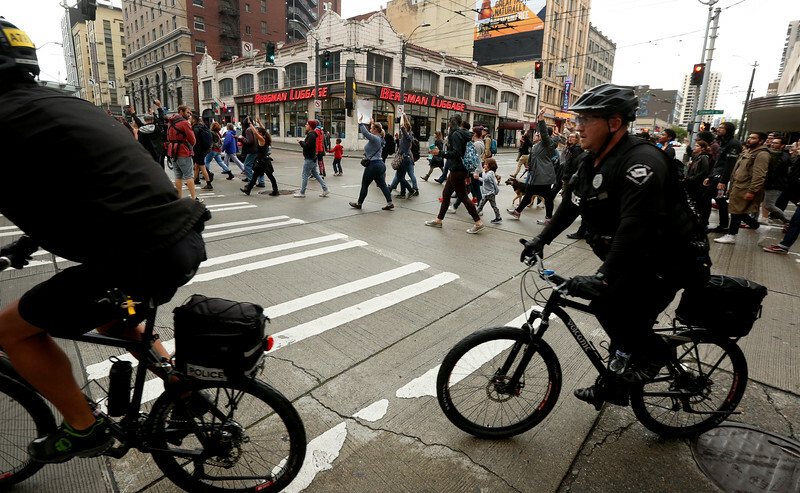 The protest is meant to call for action on the issue of climate change and prevent oil from Mountain West states from having access to Asian markets. 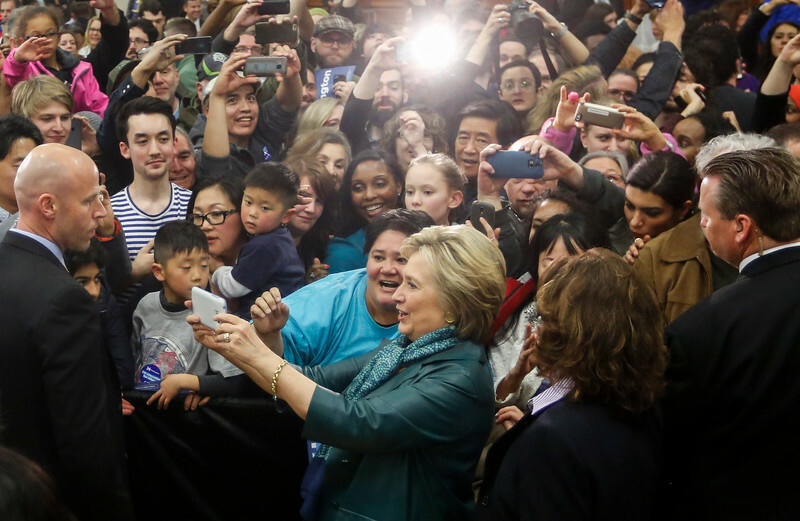 Democratic presidential candidate Hillary Clinton takes a selfie with supporters at Rainier High School after a campaign stop in Seattle, WA on March 22, 2016. 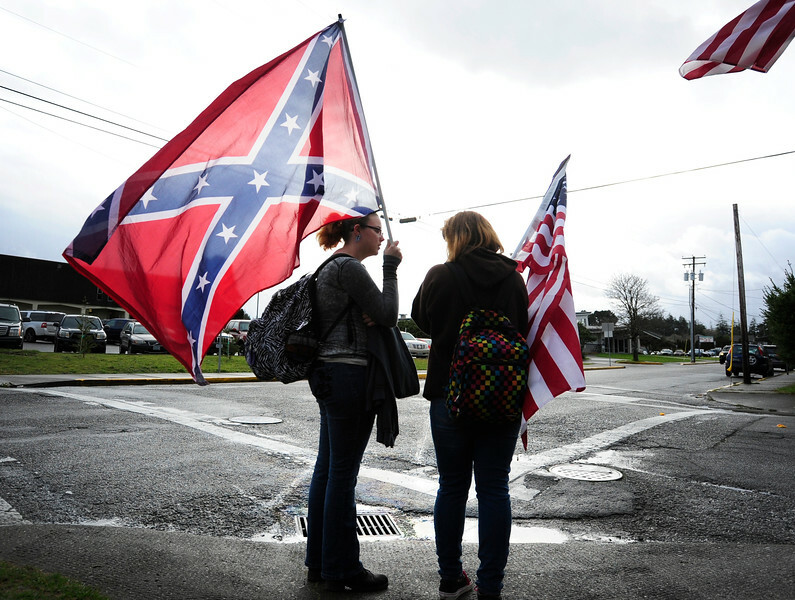 North Bend High School students Dallas Stockton, left, and Autumn Sisson hold flags across from the high school to protest a recent dress code change banning the confederate flag in North Bend, Ore. on Monday, February 3, 2017. 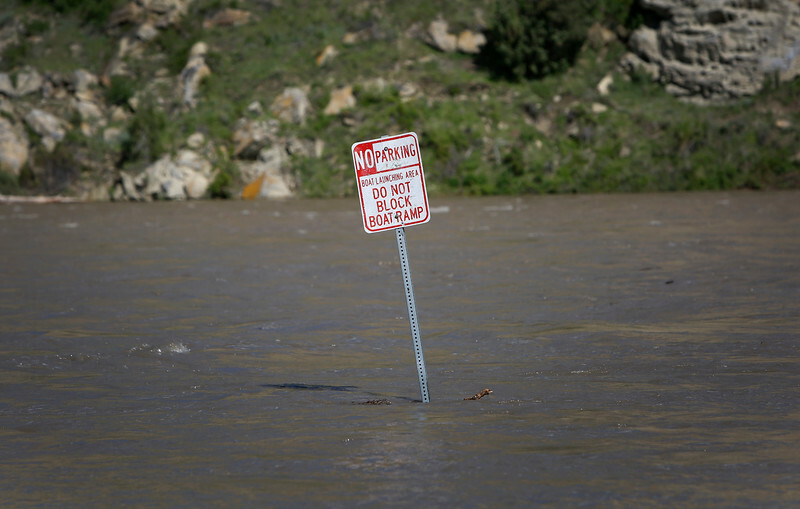 A 'No Parking' sign stands surrounded by water as the Yellowstone River swells beyond the banks at Coulson Park in Billings, Mont. on May 24, 2018. 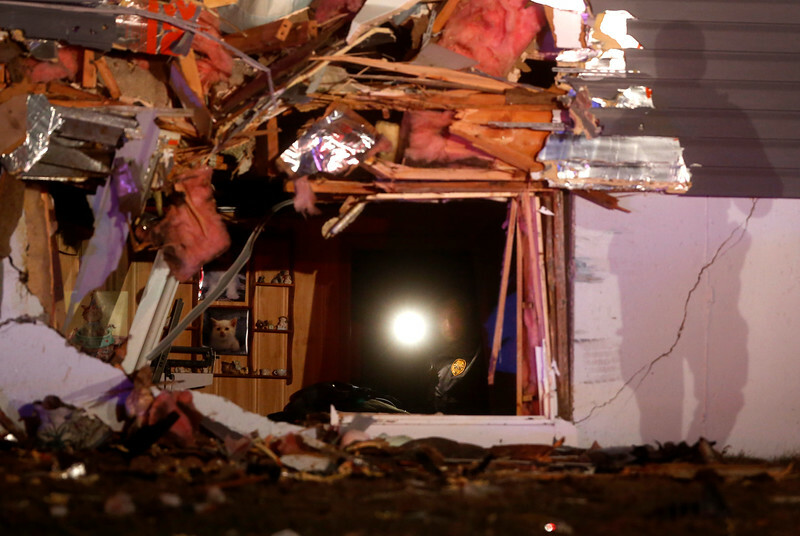 Police walk through a home at the 2100 block of Monad Road and Berthoud Drive where a vehicle crashed into the front in Billings, Mont. on March 30, 2018. 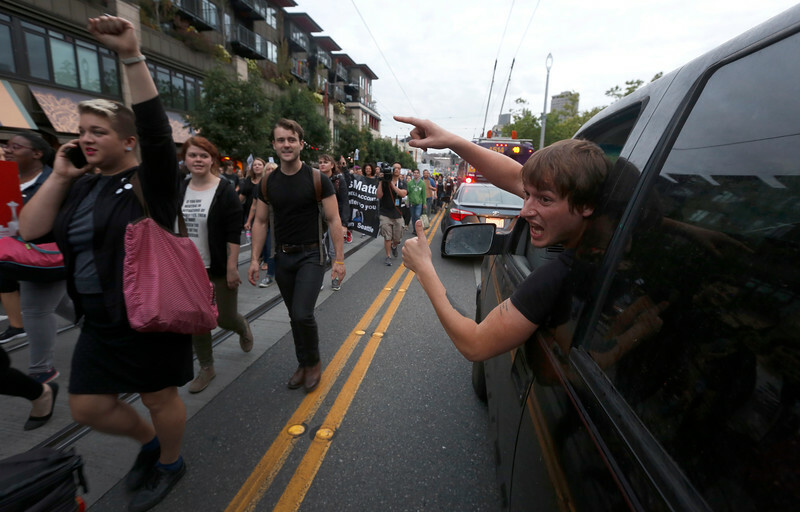 A driver yells his support of the Black Lives Matter march in recognition of the two year anniversary of the death of Michael Brown in Seattle, WA on August 9, 2016. 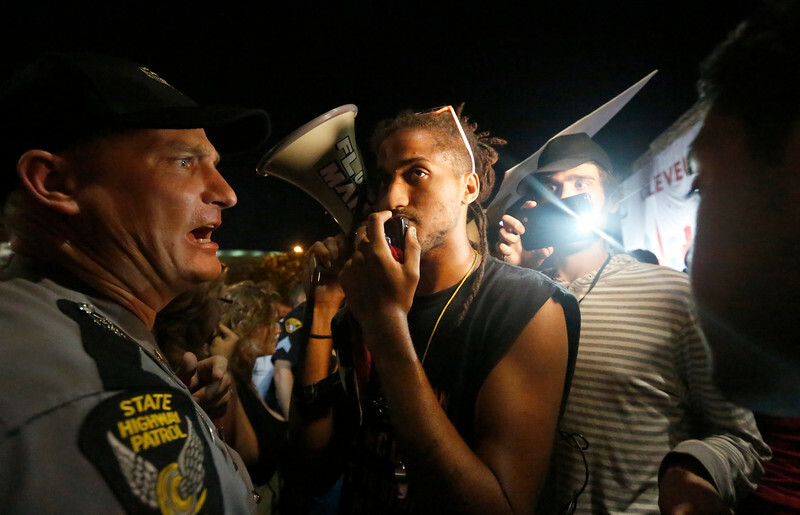 Brown was an unarmed 18-year-old black teenager shot and killed by a white police officer in Ferguson, Missouri on Aug. 9, 2014. Responders work to rescue a woman who drove off Seven Devils Road and slid 180-foot down an embankment southeast of Charleston, Ore. on Friday, January 6, 2017. 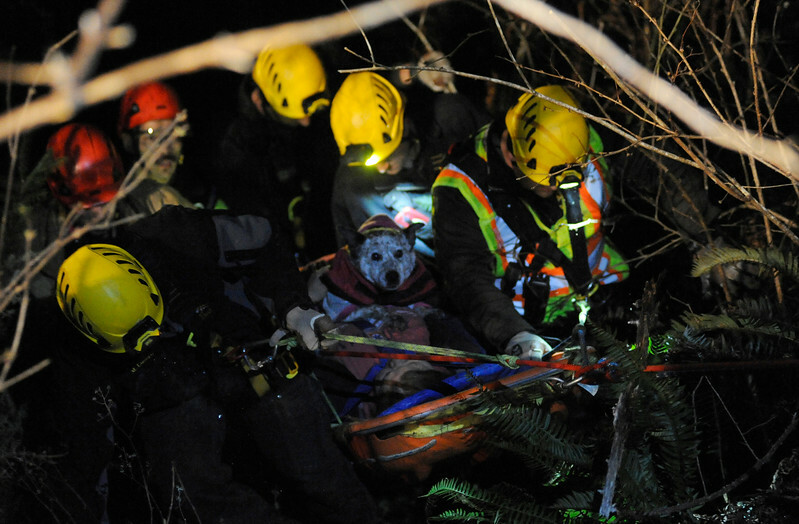 She held onto her dog Sophie as responders lifted both of them to the road.